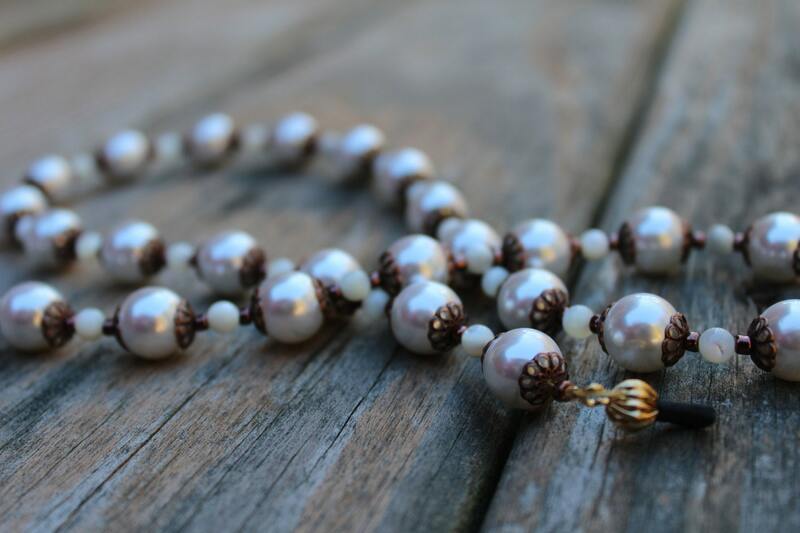 Capture that vintage look with this gorgeous Eyeglass Chain. 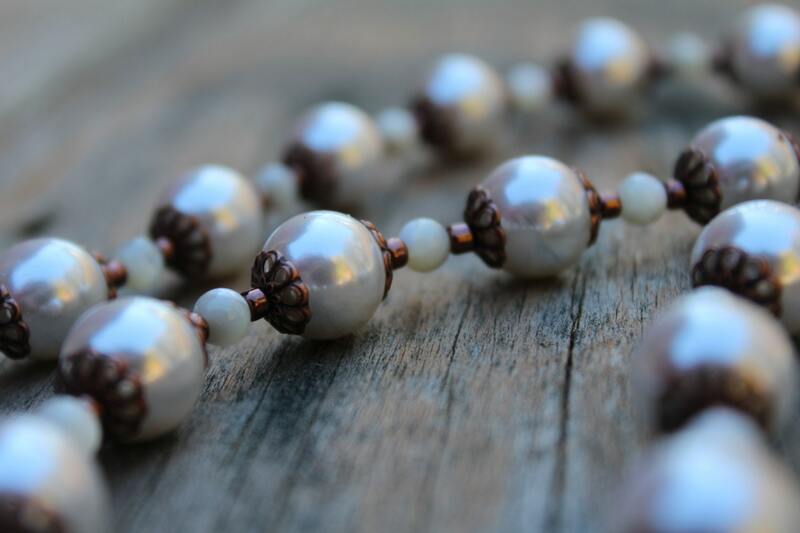 It is made using acrylic pearls and mother of pearl beads. Clean, formal, and vintage is what this chain radiates. Don't let wearing glasses bring you down, or cause you trouble, let them be a beautiful focal piece that everyone will wish they could accessorize! The entire eyeglass chain measures approximately 28 inches. 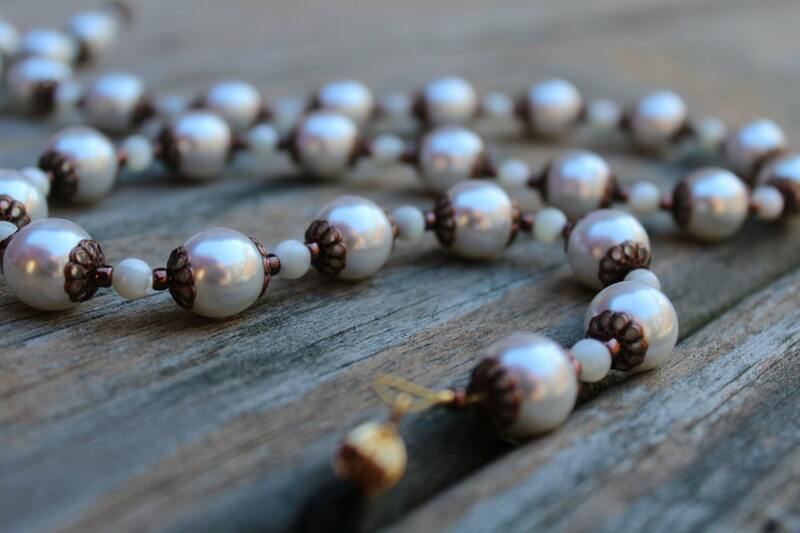 The largest beads in this chain are approximately 11-12mm.